Professional Wrestling is an entertainment medium that splits the masses, for it is entertainment shrouded in mystery, intrigue and deception. 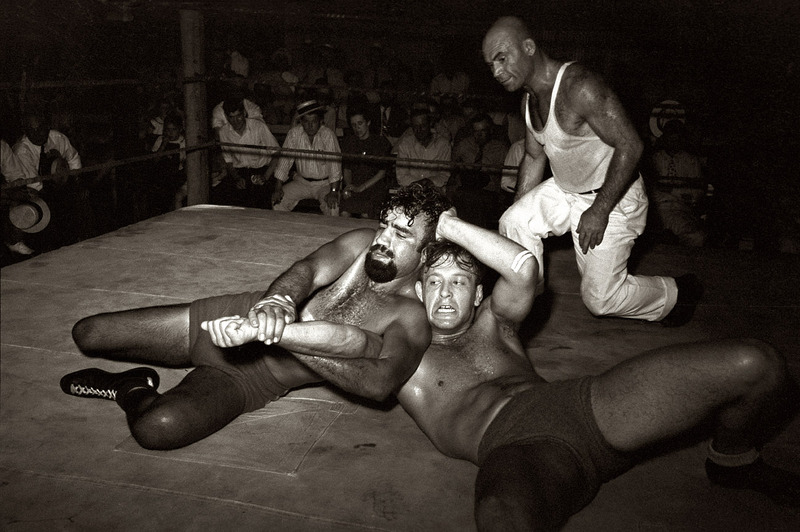 It’s public knowledge how some matches are carried out, thanks to wrestlers talking about their sometimes harrowing experiences via biographies and other mediums. However, in this day and age, these men and women who put on phenomenal shows are slated for not being what some call true fighters. Perhaps they’re not a true sense of the word fighter, but honestly, I consider these individuals some of the toughest and bravest people on the planet, doing high-risk stuff just for peoples enjoyment. So far, this year has been an incredible year for the WWE. They’ve introduced a lot of brand new talent to their already sizeable rosters. From the developmental circuit down in NXT, to the main stage on Monday Night RAW and Thursday Night Smackdown, the amount of potential the wrestlers have and display is superb. Now however, it’s time to look past all of this and talk about some of these talents. For this article however, I want to discuss one man… Seth Rollins. At the time of writing this article, I’m sat here having just finished watching the Night of Champions Pay-Per-View on the WWE Network, as I was really excited to see it! By the time you read this article, the results will be done and we’ll see where the company are going with their stars. From the recent addition to indie sensation Kevin Steen (now known as Kevin Owens), to The Black Sheep, Braun Strowman, the WWE is filled with truly talented and gifted individuals. One man who has been at the forefront of the new wave of talent is the current WWE World Heavyweight Champion, Seth Rollins. He retained his World Heavyweight Championship last night, but lost the United States Championship. He’s been the archetypical heel (bad guy) for quite some time: Cowardly, conniving, cunning heel who wins by any means necessary. He’ll take a dirty win if it means he gets to retain his title, but during the SummerSlam Pay-Per-View, he beat John Cena to gain the United States championship. This is an interesting position Seth found himself in, as he took on not only Cena for the United States rematch, but also he has to fight the WCW legend, Sting. As many websites stress, this was a way to potentially make Seth turn face (good guy) and make him a future star, burning bright. Either that, or because of the way he’s been booked, he’ll be remembered as nothing more as the guy who sleazily got his way through every victory. Whatever your view point on the state of wrestling, Seth Rollins or anything of this kind, there’s one thing that’s actually undeniable. The presence of WWE has gotten much larger and much more in your face than it was previous. In the early 00’s, we had what we call the Attitude Era, with figures like Stone Cold Steve Austin, The Rock, Chris Jericho and more. These men and women of the squared circle were charismatic and all around incredible athletes, who endured unimaginable pain. They did so just because they enjoyed putting on a show by putting their bodies on the line. Move on some years and we’re in the 2010’s. In 2015, there are more gamers and geeks than ever in the wrestling industry. Heck, the World Heavyweight Champion himself is a geek and quite a big one. In the video below, you can see the Champion sat with fellow wrestling star, Xavier Woods, enjoying a spot of Turtles in Time. But this wasn’t just a one off YouTube video. No, he’s been in Smosh videos (as shown above) and more. Well known for going to Comic Con with other WWE Superstars, Seth Rollins is a man that geeks of the world can get behind. Couple this with the fact he’s a phenomenal athlete, he’s living proof that geeks can make it in the world, no matter what they choose to do with their life. As such, I am rooting for the biggest bad guy in the company, Seth Rollins. 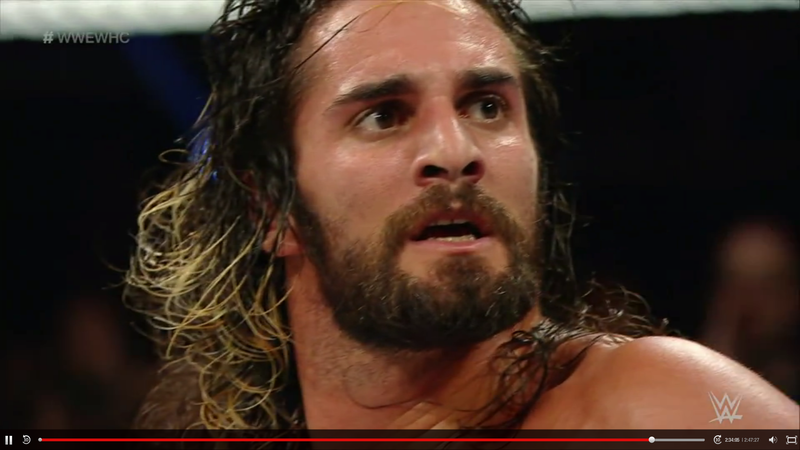 I can’t wait to see him become the biggest babyface and eventually, Seth ‘the man who runs the place‘ Rollins. Have you seen Seth Rollins in action? Did you see Night of Champions and want to weigh in on your opinions for the nights results? Hopefully you enjoyed this tangent away from our typical articles, but if you have any comments, leave them below, or over on Facebook and Twitter! I’ve mentioned it before on this site, but I really love professional wrestling. I mean seriously; how can it be that a 24 year old male who values diversity, equality, respect and friendship over everything else be so enamoured with such a rough form of entertainment like professional wrestling? 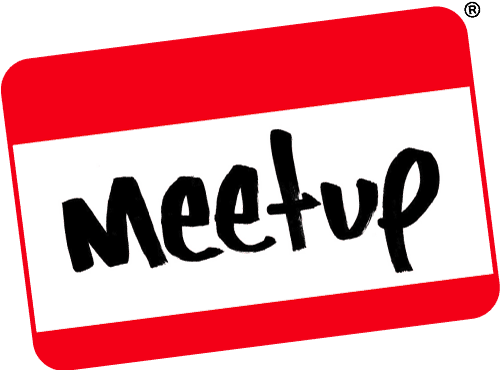 Let me start with some background then a more in depth look at the industry. CM Punks logo, proclaiming he is the Best In The World. As I’ve previously mentioned on my first post about the WWE, I started watching thanks to a pro wrestler called Phil Brooks. He laid out this amazing promo for an upcoming match against the industries top dog, John Cena. Cena has been a world champion more times than you have fingers on your hands – Most get one or two runs and that’s it. Cena has had to date 15 world championship runs. CM Punk (Phil Brooks) however agreed with many of his fans on the internet; the Internet Wrestling Community (IWC). He ranted about how he was going to take the title off of Cena, leave the company with the championship and then he went and dropped many vocal “pipebombs”. Yes, he captured for me the essence of what pro wrestling was. If you like pro wrestling and you don’t like CM Punk, that’s fine. We’re all entitled to our opinions. However, this article isn’t about CM Punk. This article is about how geeky professional wrestling actually is under the hood. Let’s go back to the olden days of pro wrestling for a moment. The Iron Sheik was arguably one of the most recognisable villains of old. In the old days, there were good guys and bad guys, much like your stories of heroes and villains. You cheered for the good guys and you hoped the good guys would reign supreme over the bad guys! If the bad guys won, it was a major upset and it was horrible! You rooted for men like ‘Hacksaw’ Jim Duggan and Hulk Hogan. You were then meant to boo men such as the Iron Sheik and Eric Bischoff. Much respect to The Iron Sheik as he’s still up to his evil tomfoolery today. Not only were there good guys and bad guys, but professional wrestling had its own lingo used backstage. It went ridiculously far to try and protect its image: “Good guys” and “bad guys” were not seen sharing a hotel. Some went to such lengths to not be seen with their opponents before matches, that some have had to fabricate stories or even go out of their way to make it seem like them being in the same area was a major problem. These story lines far extended from the boundaries of the squared circle, they were real to the fans damn it. Whenever men like the Macho Man Randy Savage spoke, they listened. Why is it that the words of these professional wrestlers, worldwide entertainers, were so strong to us? Let’s skip forward some years now and let’s look at the modern WWE. In the modern WWE, World Wrestling Entertainment, there has been a shift – A large portion of their fan base has changed. The backstage lingo has been leaked and people, including myself, knows about some of the terms and we follow it for more than just the matches: We watch it and hope that the guys we find the most talented will go far. But why do we watch it like this? Why can’t we just watch a simple match and enjoy it? I enjoy wrestling. I think it’s a brilliant sport and has been a major attraction in the Olympics for a very long time. With all of the success of wrestling in the Olympics and around the world then, where does professional wrestling fit into it all? I think I have noticed that pro wrestling fans and traditional wrestling fans have differences in interest. I enjoy watching two people grapple one another and score pins over one another. I enjoy the technical prowess of some of these men, as well as the pure brute strength they possess. Their core strength alone says enough about these individuals, but to see how they counter and turn, scoring points over their opponents – It’s incredible! The modern fan of professional wrestling however are really interested in the spots, which are usually brilliant, but these are highly planned. Oh, let me apologise as I just jumped the gun – What do I mean by “spots”? This is a term used in the industry. A spot is defined as a planned sequence of actions for a move or event within a match. For example; if the wrestler Glenn Jacobs (Kane) were to use his famous chokeslam, he would stand back and signal the chokeslam. This gets the crowd excited as they know the move that’s about to happen to the opponent, when Glenn then waits for the opponent to turn around and taste a chokeslam from hell. In a future post, I’ll describe various well known terms within the industry and what they all mean. The video I linked above shows “Kanes 20 top chokeslams“. This is another point about professional wrestling: It gets people going. It gets you excited for the next weeks events in Monday Night RAW and Friday Night Smackdown – Or whatever promotion you watch. Be it TNA, Chikara, New Japan Pro Wrestling – Whatever you watch – you’ve likely watched it because the promoters have played to its core audience: You. The WWE has gone really far and have done as much as they can to incorporate and capitalise on the Internet Wrestling Community. Triple H has mocked the IWC, as a jab at them and to make them angry – Helping fuel the want to see the matches coming up. The fans will laugh, the fans will chuckle – but since the WWE have kept up with current technology and current affairs, even going so far as to make their own damned on-demand network, they will always be on top of stories. Heck, the amount of times a feud has been started or rekindled thanks to using services such as Twitter, it’s amazing! It’s clever story telling done in a really simple way. The stories will never win “Golden Oscar Gummy-Gram Of The Year 2014”. But what they will do is simply what they say they will do on the tin: Entertain. Oh – Let’s also not forget: Some of these professional wrestlers theme tunes are simply out of this world. So, the reason I chose this as my “Geeking Out Hard” post, is that I have huge respect for these wrestlers. Thanks to professional wrestling and cosplaying, I have realised how much fitter I want to be. Before I was watching professional wrestling, I was 19 stone (266lbs). That’s big enough to be a 6 foot plus super muscular wrestler! That was all thanks to being lazy and fat, plus I’m a short man. Once I got into professional wrestling, I wanted to lose weight and lose it fast. Yes Ziggler; I really do wish I could pull this off. So, I took up a better diet and I went to a gym. As of the time of writing, I am 12 stone (168lbs). This sounds great, but I have a long way to go still. I realise I still have a long way to go but I am happy with my accomplishments so far. Thanks to how fit the wrestlers are, I have taken to looking after myself better. I don’t gorge myself with unnecessary junk food, instead I work to make sure I am going to live a healthier lifestyle. All thanks to men such as CM Punk, Dolph Ziggler, Daniel Bryan – These are three men who I look at and see a brilliant physique – And I want that. They have given me something to work towards. But then there’s the IWC, too! Without them, I’d not be writing this article. If you’re part of the IWC – Drop us a comment. Let me know your feelings about this post. Perhaps this post is a poor representation of the industry to you and you’d like to share your views? Let us know! What did you all think? Come join in with my little rant and love about professional wrestling. Alternatively – Tell me what you don’t like about it! I can understand why people don’t like it; I’d love to see your views on it! Whether you like it or not – Comment guys! Until next time, this has been Timlah and he has been Geeking Out Hard. In 2011, CM Punk shocked the world when he beat John Cena for the WWE Championship in CM Punks home town of Cicago, Illinois. In the build up to this, CM Punk was able to sit down at the top of the ramp and he aired his grievances to the world. This was a major turn in the WWE and indeed perhaps the whole of professional wrestling. Phil Brooks (CM Punk) was well known for being outspoken, as well as being a damn great athlete. Like him or not, you had to respect him. He said a few things during his aired grievance that really shook the WWE. He said some harsh words about Vincent McMahon, the chairman of the board. He said how things might be better when—Well; I’ll let you decide if you want to watch the “pipe bomb” that Phil left. So what does all this have to do with geekdom or geek culture? There are two sides to every coin, here’s one of my “less geeky” passions which has a surprisingly geeky undertone. To begin with, when I first saw some WWE programming, I thought there was something rather real going on. Even though I didn’t start watching the show until 2011, there was still an air of realism. It’s not until I started to watch it properly did I figure the scripted nature of the show. That and the lack of really serious injuries, this is. They do exist, of course: Concussions, broken bones, separations, torn muscle – You name it, these athletes get put through a ton of pain and it shows very visibly on their faces from time to time. Dolph Ziggler selling a very nasty looking spear, for entertainment! But, whilst I was a “Mark” to the WWE, everything felt magically immersive. You egged on the good guys and you jeered at the bad guys. You didn’t want the bad guys to win. Not until the really fun and creative bad guys appeared over the past few years, but I digress. 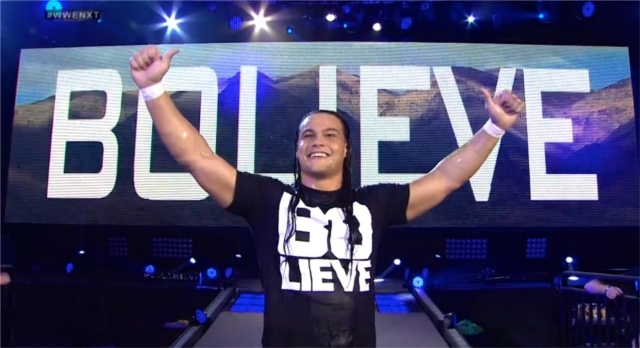 Would you “bolieve” that this guy is a bad guy? After everything became clear to me that this was just a show, I decided to take to forums and read about these men and women who put their bodies on the line day in and day out. Jump forward a few years and lo and behold, I became a “Smark”. I know of the lingo they use backstage, I know of the “bumps”, the “spots”, the “faces” and the “heels”. I know about referees signalling a wrestler to stop by putting their arms in an “X” shape which signifies a real injury has occurred. Does it make me a better “viewer” for the WWE? Definitely not! I sometimes wish I didn’t know as much as I did about the bookings of matches and the likes, but at the same time, there’s now this other end of the field. The “guessing game” as it were; the “will they put over a new guy and make a new star?” It happens, occasionally. 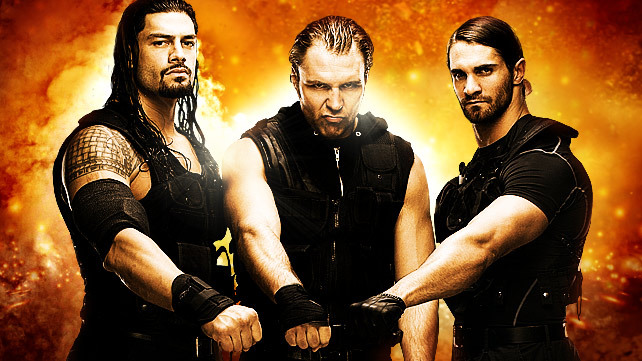 We recently saw a trio of amazing athletes called The Shield. In 2012, they arrived and they were conquering everyone. 2013 – Still conquering! 2014 – They finally go their separate ways… And all three of them have turned into breakout stars. Sure, it’s a corny looking picture – But these guys had a different presence to just about everyone else in the ring! Smarks are known for hanging around online, they are called the IWC (Internet Wrestling Community). Now, whilst it’s somewhat dangerous to say that all “smarks” are part of the IWC, a good number are. I’d argue that I’m not really, although I have been known to browse forums and browse websites that cater to the smarks. This is simply because I like knowing these little tidbits of information. I like to hear the backstage stories, such as “x has just been resigned with the WWE”, as then when you miss just one of these stories – It makes that return/debut of a wrestler oh so much more exciting! As well as this, it’s important to note that the WWE isn’t where professional wrestling “finishes”. A lot of Marks will be stuck with just the WWE as their source of pro wrestling entertainment. Smarks will know of the other promotions; Chikara, TNA Impact, Ring of Honour, you name it. This isn’t to say a Mark can’t watch those promotions either; but for the most part, once someone has picked a promotion, they’ll stick to it. The promotions all fall in the same category of entertainment. They tell stories in the ring between characters… And few tell it as well as the match below. Whether you think wrestling is stupid or fun, the match below is one that will have people talking for a long time. It’s why I’m a bit of a smark, who yearns to be a mark. I watch the big matches on Pay Per View (Until the WWE Network finally comes to England) and during them, I like to shut all knowledge of other sites away. During the weekly television programming, I enjoy the geeky side. I enjoy reading the dirt sheets, I enjoy the interviews and the social media that WWE utilises so well. But during the Pay Per Views: It’s still real to me, damn it. So, to conclude, a Mark is a term coined by the industry – Someone who believes the product is real, someone to keep enamoured with the product in whatever means necessary. This is by using language that the Marks might not know about: Face (Good guy), Heel (Bad guy), Mark (Someone who just watches the product), Smark (Someone who watches the product and has some knowledge of what happens behind the scenes). A Smark, conversely, is someone that watches professional wrestling because they love it. They love it in a different way; they enjoy to watch the show and they enjoy to get to know the wrestlers, their pasts, their ideas and more. They will follow things and will connect the dots. They get so deeply into the product, they’re generally engrossed in it… But they will often retort about anything they didn’t find one hundred percent pleasing. If you believe everything in pro wrestling, I envy you. If you believe that someone is able to get up after being planted on their head with moves like a “Brainbustaaaah”, I envy you. I want to believe that but I can’t. Instead – I enjoy the show for what it is. Damn entertaining with some relatively good (albeit simple) stories. What do you think of pro wrestling in general? Is there a certain geekiness you’ve recognised about it or has this article opened up some of its geekier aspects to you? As always, leave us a comment and hey, if enough of you enjoy these articles, I might do the occasional opinion piece on what I’d like to see for story lines! I might also open up into different aspects of Pro Wrestling, such as what a luchador is (and indeed Hawlucha would make an appearance for that special), as well as perhaps looking into Greco Roman and the origins of wrestling. There’s such a splendour of stuff with pro wrestling and wrestling in general, I could write about it for weeks on end. But most importantly: Let’s focus on the geeky aspects of pro wrestling.